The average data security breach takes less time to pull off than it does to prepare a cup of coffee. In fact, 93% of successful data breaches occur in less than one minute. Yet, 80% of businesses take weeks to realize a breach occurred. There are many costly consequences of compromised data. This is why 86% of business executives believe cyber security threats, such as weak data security, are concerning. Here’s a quick look at 5 of the most significant ramifications of data breaches. Keep reading to find out why it’s crucial to keep your business’ data well-protected. Significant revenue loss as a result of a security breach is common. Studies show that 29% of businesses that face a data breach end up losing revenue. Of those that lost revenue, 38% experienced a loss of 20% or more. A non-functional website, for example, may cause potential customers to explore other options. But any IT system downtime can lead to work disruptions. A security breach can impact much more than just your short-term revenue. The long-term reputation of your brand is at stake as well. For one, you don’t necessarily want your emails leaked. In most cases, you need these emails to remain private. However, customers value their privacy, too — and breaches often involve customer payment information. Potential leads will be hesitant to trust a business with a history of shoddy data security. Loss of revenue and damaged reputation can be catastrophic. However, in some cases, hackers will also target designs, strategies, and blueprints. Businesses within the manufacturing and construction industries are more prone to this threat. Smaller businesses tend to believe they won’t get hit. But 60% of hacks target small businesses. This is because they’re easier to attack. Losing intellectual property can impact the competitiveness of your business. Some rivals would not hesitate to take advantage of stolen information. Surface-level costs are just the beginning. There are many hidden costs related to breaches as well. For instance, legal fees may come into play. Also, you may need to spend more on PR and investigations, not to mention insurance premium hikes. Regulatory fines are another reality that many businesses overlook. In 2015, for example, the FCC slammed AT&T with a $25 million fine. This was a result of a breach that led to the disclosure of information related to thousands of accounts. Some hackers fancy themselves as pranksters. In these cases, a security breach might only lead to few word changes on your website. While this seems relatively harmless, it can actually cause a lot of damage. Subtle changes are harder to notice. For example, a hacker might change a few letters or numbers on your contact page. They may also add vulgar content to some of your webpages. Data breaches are more common today than ever before. In 2016, the number of global data breeches increased by 86% compared to the previous year. However, there are a few data security tips you can use to safeguard your business. 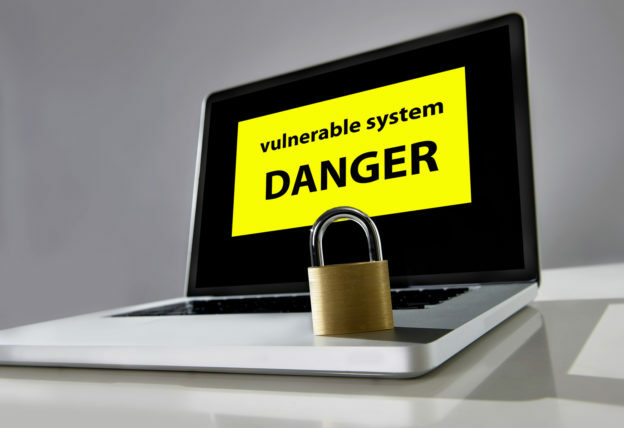 For starters, make sure you keep your software updated to reduce vulnerabilities. Also, consider encrypting your data, and always avoid opening risky emails. Investing more in IT can help you both detect and prevent many threats as well. If you’re looking for IT solutions, feel free to contact us today!